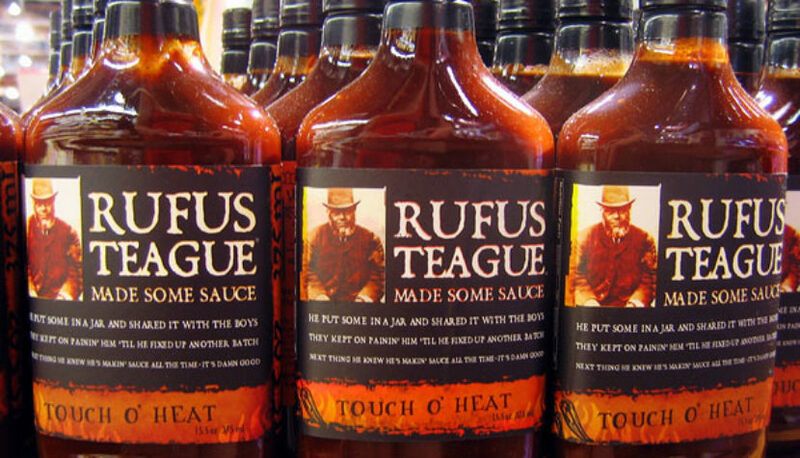 “Rufus Teague made a sauce product…” and the people rejoiced. 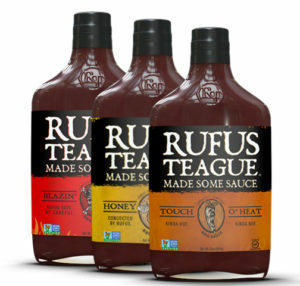 Rufus Teague changed said sauce, and the people repined. Well, at least my husband did. My grocery list took me down the saucy brick road to the aisle where Rufus resided. As I made my approach, I noticed that Rufus had a brand new look. Designing a new package is risky. Make sure your new packaging strategy does not alienate your customers. As a designer, I could appreciate this packaging upgrade—it was not too far off from the original look, so it didn’t leave me wandering around and wondering where my pal had gone. However, I was still able to spot it right away. Kudos for that, Rufus. Then, off I went. Naturally, it was BBQ for dinner that night, pulled pork tacos—YUM! But my husband looked puzzled, as he furrowed his brow and exclaimed, “Nope. Not the same sauce. Time to stop buying that!” And just like that, the love affair was over. I thought he was crazy, but this got me thinking—why would a company feel the need to mess with a good thing? This monumental let-down in the life of my partner-in-crime sent me on a mission: A saucy scavenger hunt, if you will. I was desperately searching every store I could find—trying to seek out and purchase every last bottle of Rufus, that we came to know and love, still wrapped in the original label. It was tough, but I did find a few. I was comparing ingredients, taking notes on what was and wasn’t in there. It was all the same. Exactly the same. Except for one small detail—the ingredients were listed in a slightly different order. Now, we have all come to know that ingredients are listed in order of predominance, with the ingredients used in the greatest amounts first, followed by descending order by those in smaller amounts. This change can have a big impact on the flavor profile of a product. But did we know that this change can ruin a product? Did Rufus know? Shouldn’t somebody tell him? With just a few modifications of the amount of certain ingredients in the Rufus BBQ sauce, Rufus had essentially ruined (according to my husband) what was the perfect sauce. Where Did the Product Research Go Wrong? So why do companies change their product? Is it to save money? To improve the health profile of the product? And why is it that sometimes they don’t inform the consumer of the change? With Rufus, the fact that the packaging was updated does not make me assume that the product inside the bottle will be any different. There were no indications of ‘new and improved’ on the label. To be fair, there were also no indications that read ‘new look, same great taste’. When you have a great product that people love, why risk it and let money or corporate ambitions compromise that love? If you’re looking to revamp your product, we have the experience and know-how on navigating this ambiguous change. After all, if your consumers know and love your product, there isn’t a impactful pull asking for you to risk your brand’s reputation. Fortunately, you can find some information in our book Moving Your Brand Up the Food Chain(TM), a marketing book that makes the case that there is no better time for local, emerging food brands like you to take the retail shelf by storm.